When you grow up in a Western country, you tend to think of fireworks as an event. Meaning, it’s something official that a professional sets up and you go to a wide open place (like a field or a harbor) and watch the show. 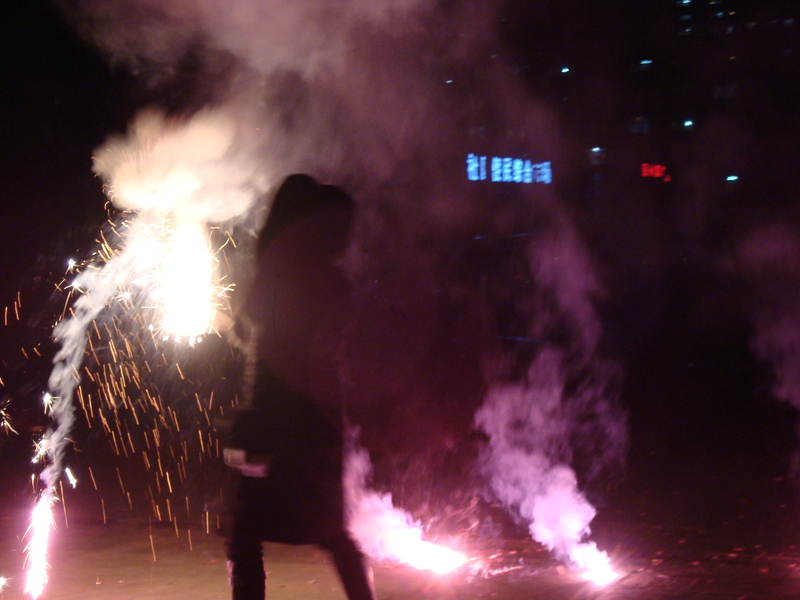 With a true communist spirit, in China fireworks are for everyone. Shopkeepers. Young couples. Drunk coworkers. Babies. Everyone. There are stalls set up all over the city that sell everything from nice safe shiny sparklers to giant boxes of full-on flashy fireworks. They also sell long strings of firecrackers that are meant to be loud rather than pretty. It all relates back to a Chinese folk story. Basically, the New Year brings with it an angry, destructive dragon. In order to protect your home and family, you need to hang up red paper and set off explosions. Big, loud, ear-blasting explosions. This year also happens to mark the Year of the Dragon (龙). I’m not sure if that has special significance when it comes to the noise levels, but it has certainly seemed that way. It doesn’t help that my bedroom faces into the courtyard of my apartment building. This is lovely in the summer with the pond and trees and morning sun (when the smog lets it through). It is not so lovely in the winter when the empty concrete hole that used to be the pond is the building-sanctioned location for setting off fireworks. I love watching fireworks as much as the next person, but I’m really looking forward to a proper night’s sleep. Hopefully tomorrow night, fingers crossed. 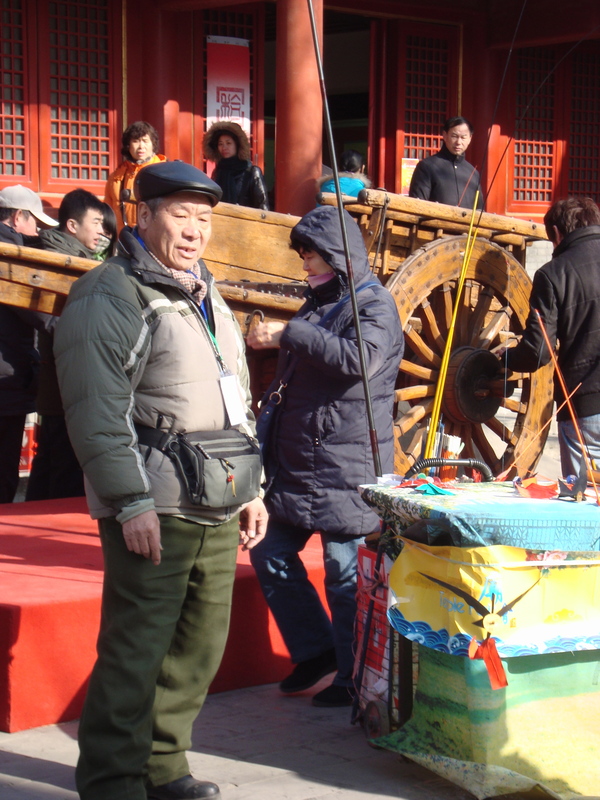 In addition to fireworks, another 春节 tradition is 庙会 miàohuì (temple fairs). This year I went to two very different fairs: one was a carnival at a nearby park and the other was a traditional affair at my favorite Taoist temple. I love love love people watching at temple fairs. They’re places where people really let loose and get properly silly. They walk around in neon afro wigs and oversized sequined bow headbands while eating squid-on-a-stick. For the record, I skipped the wig but enjoyed the squid. As much as I complain about the noise, there is something really enchanting about spending Spring Festival in Beijing. Because this is the capital, Beijing is also a city of migrants. Not just the migrant workers who are building its future infrastructure, but also white-collar businessmen and families looking for opportunities. This means that the majority of the city goes home during the week of 春节 to see their relatives, bring gifts and relate tales of urban splendor. Between bursts of explosions, Beijing actually feels a bit like a ghost town. All the little shops and restaurants are closed, there are plenty of seats on the bus and everyone left in the city is a real down-to-earth Beijinger. Every taxi driver I’ve had this week not only had the familiar pirate-esque Beijing accent but also knew exactly where my apartment is. It’s comforting and reminds me of the old days, when I first moved to China and all the taxi drivers were marble-mouthed locals. But enough talk. 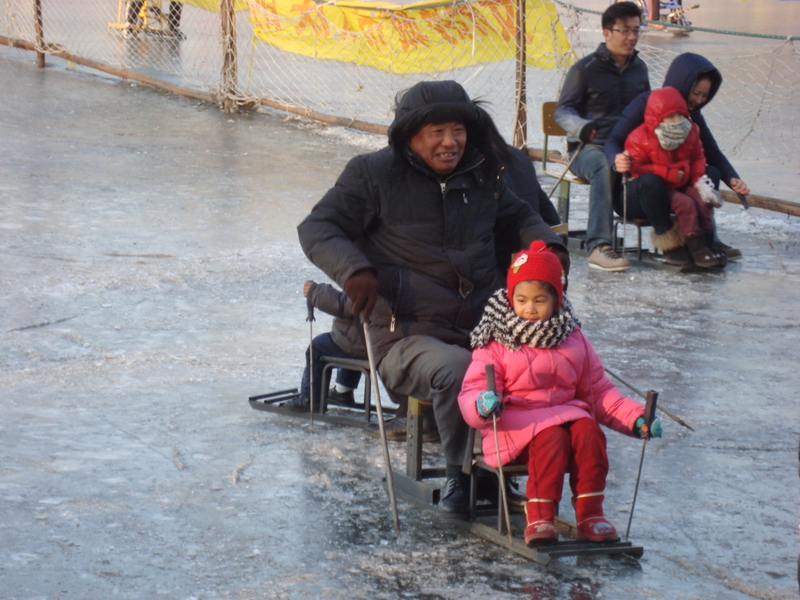 If you really want to know what the seasonal madness looks like in Beijing, the best thing I can do is show it to you. 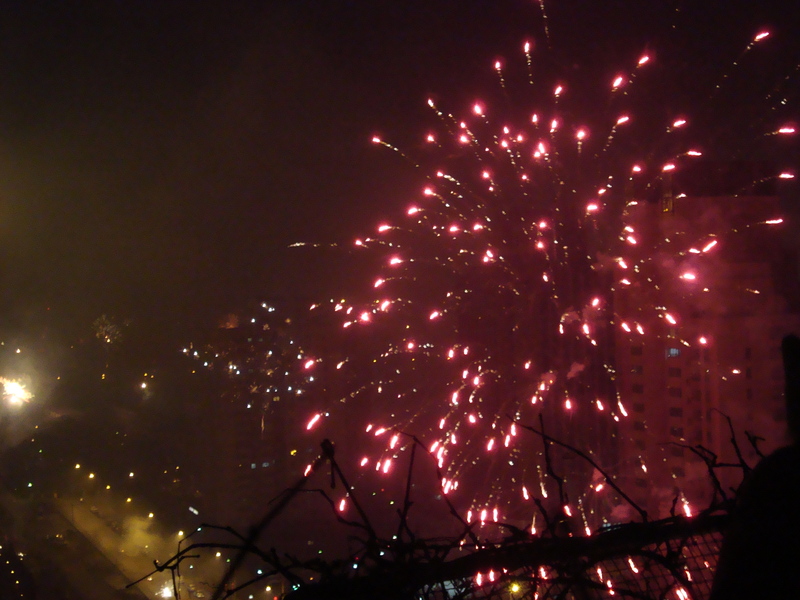 Here’s the video I took on Chinese New Year’s Eve from the roof of my friend’s apartment. 新年快乐！Happy New Year!